It is easy to lose sight of why we do what we do. Why do you pray? Recently, an exasperated woman at a door gave me a good reminder as to why I pray. Ministry doesn’t pay the bills. I contract other work to make that happen. One thing that I do is conduct housing inspections. A few weeks ago, I was knocking on a door in Detroit in order to complete a scheduled inspection. I could hear someone in the house, yet no answer. Finally, an irritated young women came to the door and asked me a penetrating question. I don’t remember exactly what I said, but the reason was simple. I needed her. I needed her to let me in so that I could do my job and get paid. This lady’s question had surprised me. It struck me as an unusual question. Isn’t it obvious why someone would keep knocking? There is a certain progression to those words of Jesus. Ask. Seek. Knock. We pray and we simply ask God to work. Sometimes, it takes more than that. Sometimes, we pray and we have to keep pursuing God. We have to seek. Then, there are times when we have to knock. We pray, but answers don’t come quickly. Problems aren’t quickly resolved. We have to persevere in prayer and pound on the door as if to get the attention of God. 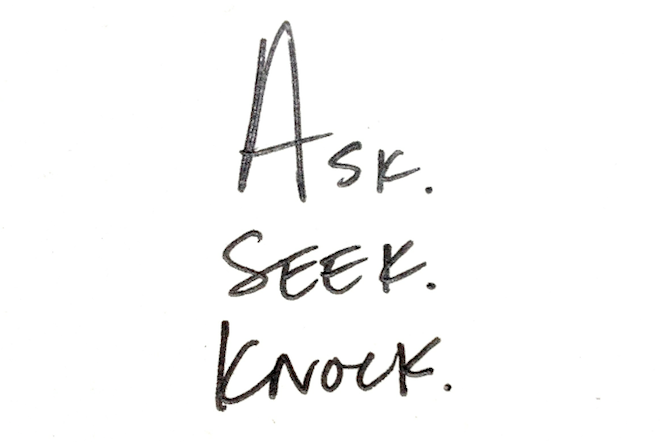 I knock…I pray for a very simple reason. I need God. You need God. We need God. Sometimes, we pray out of habit. Sometimes, we pray out of obligation. Sometimes, we pray as a backup plan. Ouch! Sometimes, we don’t pray at all. We must pray because we need God. Do you believe that is actually true? Does your prayer life reflect that conviction? What if we prayed like we really needed God? What if we prayed with urgency? What if we prayed like things actually depended on God? What if we prayed and we simply declared “God I need you. I cannot make this life work on my own and I will knock on your door until the heaven’s move and you bring change to my life”? What if we prayed like we were fully dependent on God? Let’s pray like it matters! You can find more on prayer here and here. 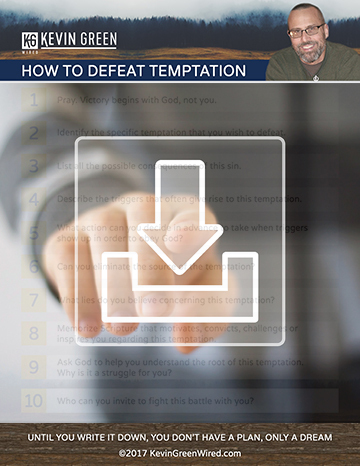 Every post in your email and a free guide on the motivation necessary to follow Jesus is all yours. Just sign up.